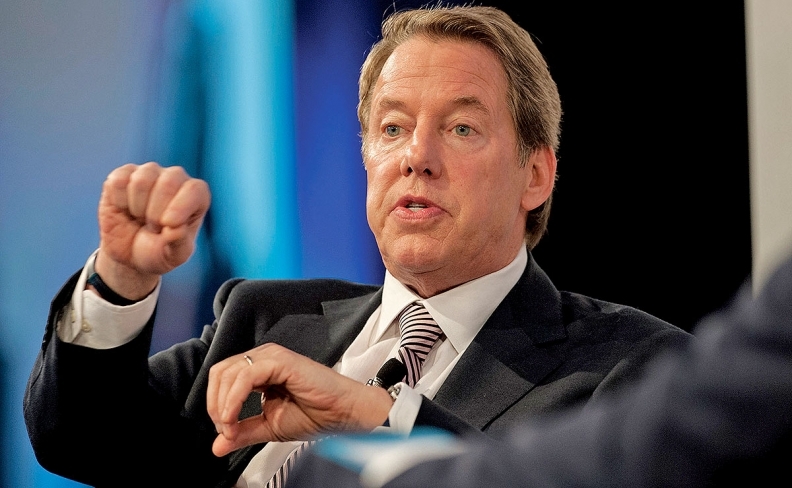 Bill Ford (file photo) to shareholders on Thursday: "We're as frustrated as you are by the stock price." DETOIT -- Ford Motor Co.'s shareholders on Thursday questioned the company's top executives about their strategy for the future -- and complained about a new virtual meeting format. CEO Mark Fields, who faced scrutiny earlier this week over the company's lagging stock price and investments in new mobility services, emphasized that Ford was moving "aggressively but also prudently" into "the biggest strategic shift in the history of our company." Executive Chairman Bill Ford said the company "continues to succeed in the present, even as we build a foundation for greater success in the future." That foundation involves investments in ventures not directly related to the sale of cars and light trucks. Over the past year, Fields has outlined the company's plans to develop a fully autonomous car, expand its electrified vehicle portfolio and invest in new mobility services such as ride-sharing shuttles. But after posting a near-record pretax profit of $10.4 billion in 2016, Ford expects a decline to $9 billion pretax profit this year because of those investments in the future. The company's stock price has continued to lag, and it was recently passed in market capitalization value by electric-vehicle maker Tesla. And Ford board members are putting pressure on management. "We're as frustrated as you are by the stock price," said Bill Ford, noting that the company would continue to work on improving its core business while experimenting with the new mobility services. On vehicle quality, Fields admitted to troubles with recalls, but claimed the company was showing improvement. When one shareholder asked about plans to discontinue any cars, Fields sidestepped it by saying the company was always looking at its options. Normally held in Wilmington, Del., this was the first annual meeting held virtually. That didn't sit well with some shareholders. John Chevedden, a longtime activist shareholder, said it was a "horrible retreat into a foxhole for the company," and mused that perhaps Ford's top brass "are hiding in Dearborn in the basement." Despite the grumbling about the new format, Ford said the new virtual meeting allowed nearly six times the amount of people to participate. Last year in Delaware, 59 individuals were part of the meeting, Ford said. This year, it said 147 shareholders logged on, while an additional 203 guests, including media, listened in for a total attendance of 350. Among shareholder proposals, voters again rejected an annual request to remove the Ford family's special class of shares. Ford said 64.4 percent of voters were against the idea. Ford shares were essentially unchanged, trading at $11.04 as of 12:49 pm ET.